Water is critical to survival if you become lost or stranded outdoors. You can only survive 3 days without water – max. That’s why it’s so important to know how to locate water in nearly any environment. 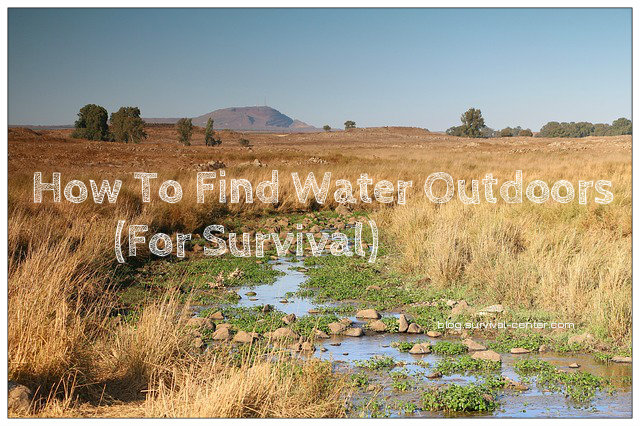 By learning what to look for, you can find water when you need it most in a survival situation. Remember, it’s critical to only drink clean drinking water – be sure to purify your water before drinking if you can. Look for surface water in the area. Lakes, rivers, and streams are often excellent sources for water. If you find running water at high altitudes in isolated areas, it is probably safe to drink. Never assume water is safe for consumption. It is always best to be cautious. Water from melting ice, for example, frequently contains bacteria that can be harmful to humans. Valleys are good places for natural drainage; check low areas for potential water. Always purify any water if you are uncertain of the quality. Avoid taking chances to stay safe and healthy. If you are unable to find surface water, dig into damp soil. Allow the water to settle and become clearer. This muddy water can be filtered and purified to become safe drinking water. Although drinking from what is essentially a mud puddle may not sound appealing, it can save your life in a survival situation. Be cautious of stagnant water with little or no signs of life. This is a red flag warning for you to stay away and not drink the water. Let nature lead you to the water. Insects often stay near water, so if the insects are abundant, you are probably close. Birds will frequently fly near sources of water. Keep an eye on the sky to find something to drink. Look for animal tracks that converge. See if they will lead you to a water source. 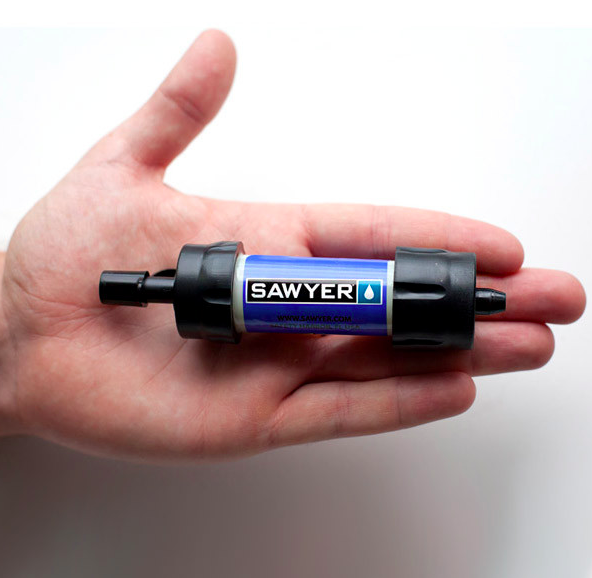 Collecting water is another way to get the adequate fluids you need to survive. Rain water is usually safe to drink. Collect rain water in a clean container. You can also gather water from plants. Wet a cloth by soaking it in the morning dew. Once the cloth becomes saturated, wring it out directly into your mouth or a collection container. Drink what you can in the morning and save as much water as possible in your collection container. Roots from trees and plants collect water from the ground. Let the plant work for you to collect water. Locate a growing branch that has exposure to the sun. Tie a plastic bag over this branch. Close the bag, but be careful not to puncture a hole in it. Let a corner of the bag hang low to collect the drinking water from the condensation. With these water survival tips, you should know how to find water outdoors that you need to remain hydrated. And remember, you must properly purify any water that may be questionable. This entry was posted in Emergency Survival, Outdoor Survival, Survival Basics and tagged how to find water, how to find water outdoors on April 28, 2014 by David Adams.